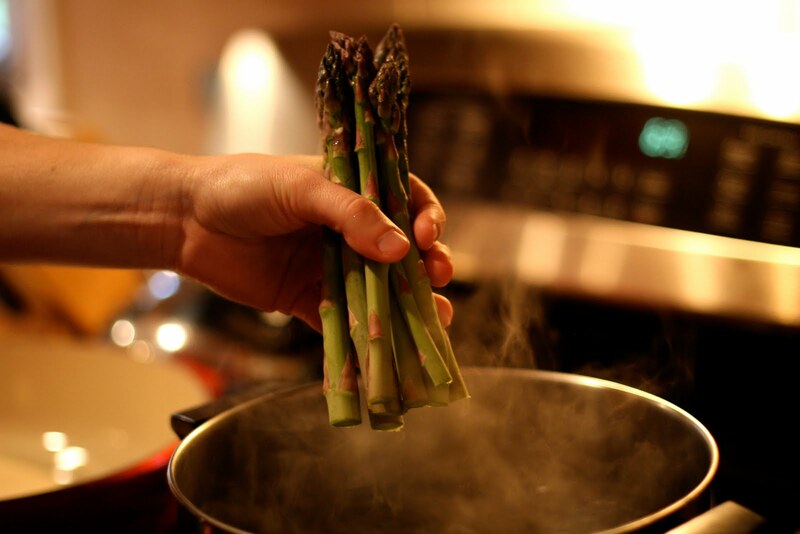 You would think that the springtime favorite, asparagus, was the inspiration for this dinner. Nope. In fact, it was my beautiful sage plant. I was in the mood for pasta but wanted to make the most of spring flavors. I confess, I used store bought ravioli. It was a delicious dinner nonetheless, but would undoubtedly be that much better with fresh homemade pasta. Next, I melted one stick of butter in a saute pan over medium heat. When the butter just started to brown, I tossed in about a tablespoon or two of fresh chopped sage. As soon as I dropped in the sage I reduce the heat to low, seasoned with a pinch of salt and pepper and let it hang out. Now for the ravioli. 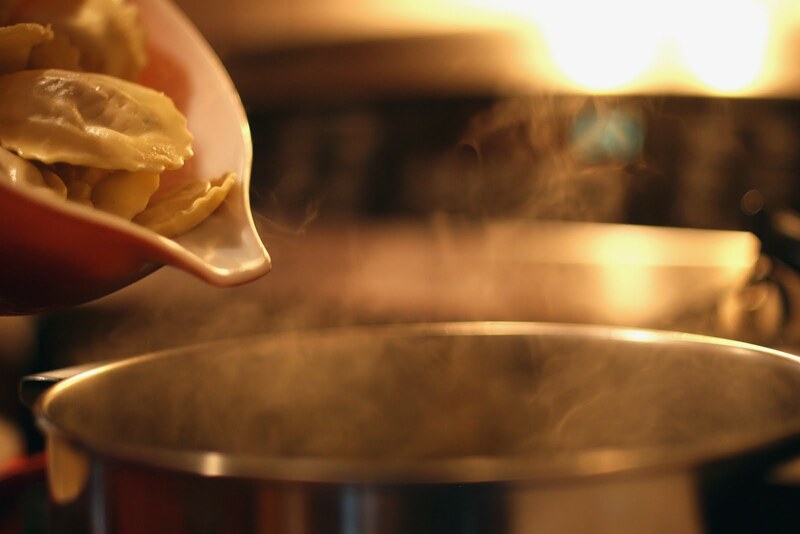 I brought the water in the large pot back up to boil, seasoned with salt and tossed in about a pound of cheese ravioli, seven cheese ravioli to be exact. I popped on the lid, turned off the heat and let the ravioli cook for about 4 minutes. 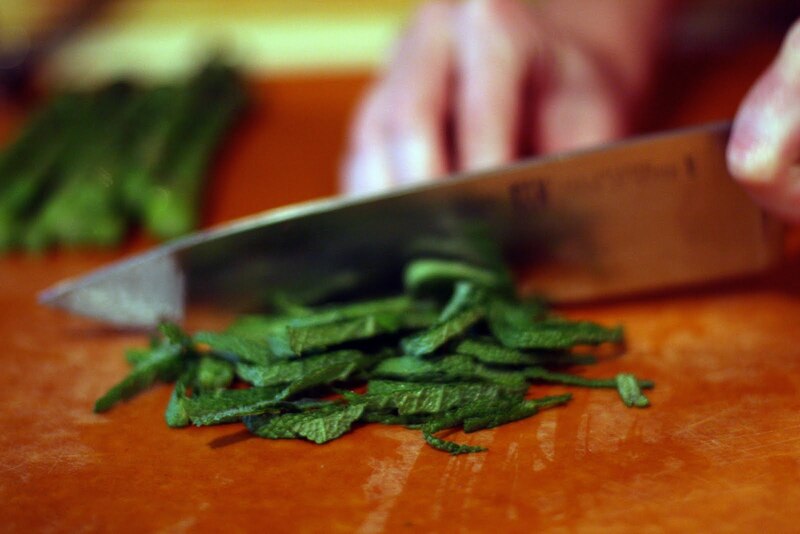 While the ravioli cooked I chopped the cooled asparagus and added it to the brown butter and sage. 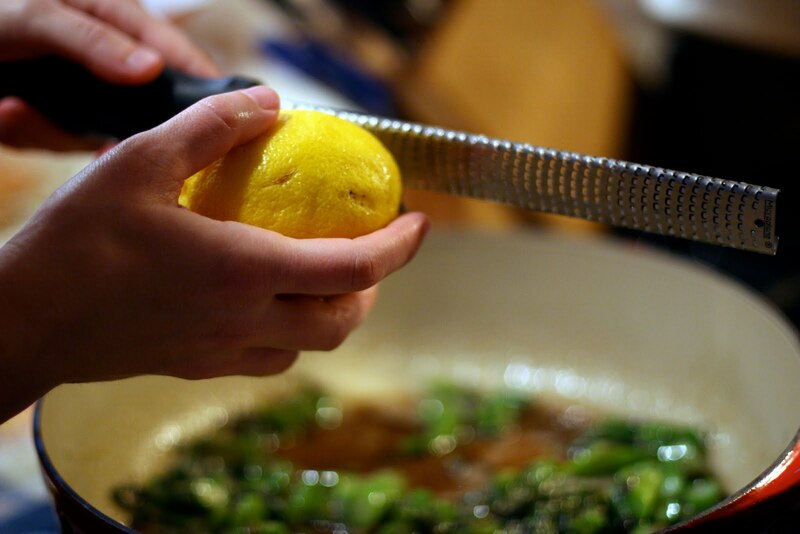 Then, I zested a lemon right into the pan. When the pasta was cooked I added it to the sauce in the saute pan, raised the heat just a bit and tossed everything together. I wanted to make sure the ravioli were well coated with the butter and that everything was nice and hot. 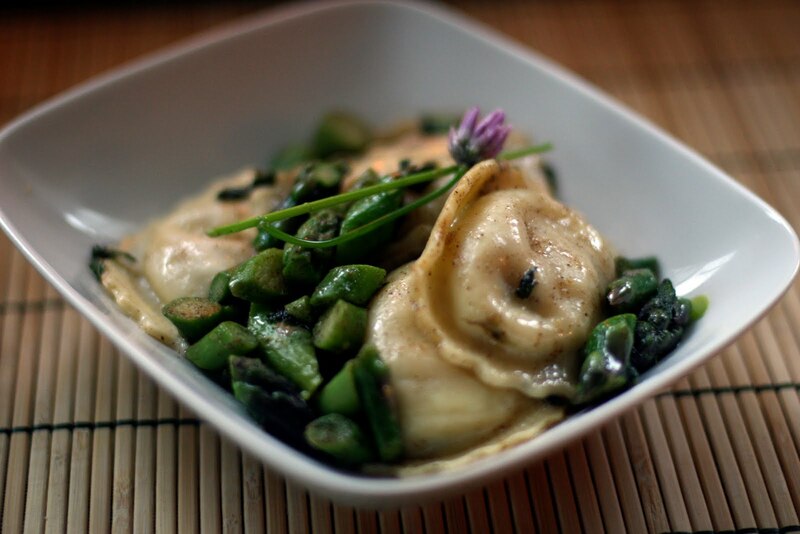 It was an easy, comforting meal that tasted of spring. Technically this recipe would serve four, but for us it makes more like two really good size portions with one small one for later. I finally got my hands on local asparagus this week and there's just no comparison. So completely yummy! I know! 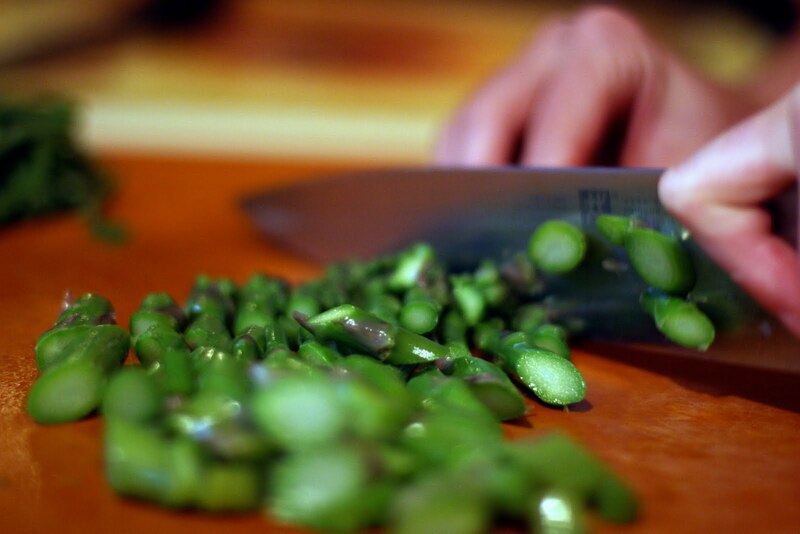 Local asparagus just tastes incredible.